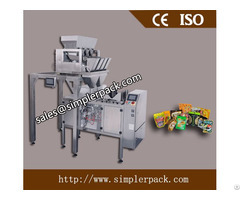 4) All-round process: filing, weighing, bag forming, sealing, cutting and counting etc. It is suitable packing grain or granule products of food, medicine, cosmetics and chemicals, tea leaves, seeds, and other seeds-like products etc. 1.Adopting PLC control, photoelectric tracking and deviation correcting. 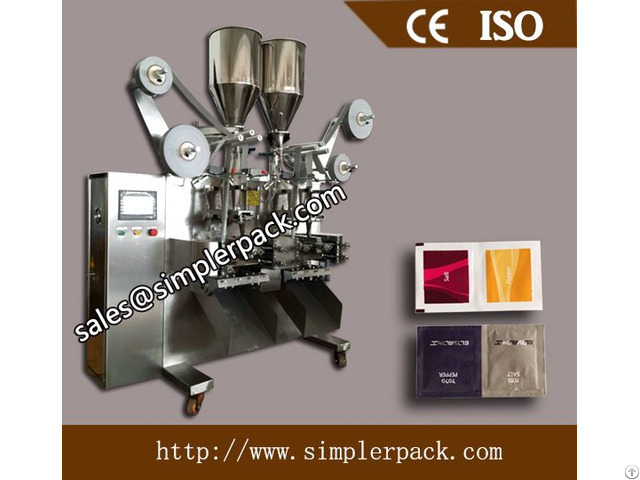 2.The bag length can be accurately adjusted according to requirements. 3.Problems will be shown on the screen, it is convenient for checking and maintenance. 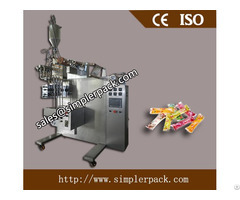 4.Automatically stop when overheated, ensuring the quality of sealing. 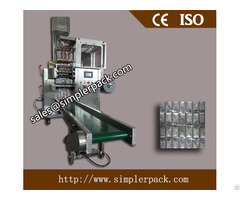 5.Conforming to the GMP standard, highly efficient, easy to operated and maintain, steady and durable.